2. 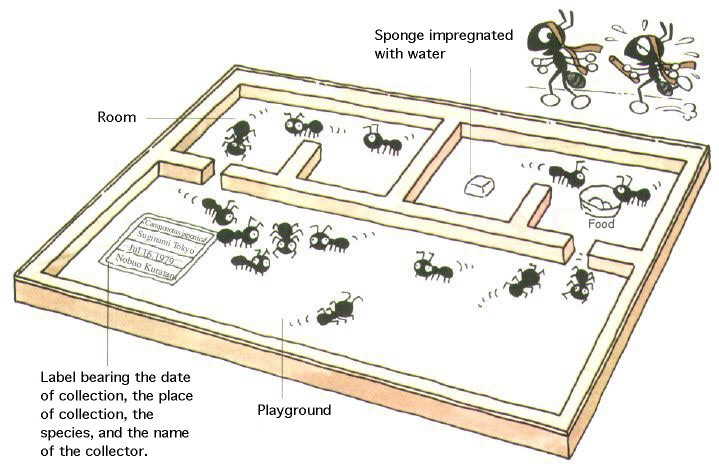 Let's keep ants in a house with a playground. 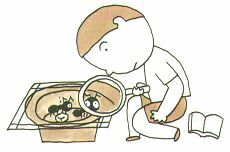 If one room is darkened, the ants will accumulate there, making it easier to clean the ant house. 1 Prepare 2 glass plates, and file the edges. 2 Adhere a wooden model onto one of the glass plates. 3 After putting on a label, put the other glass plate over the top. 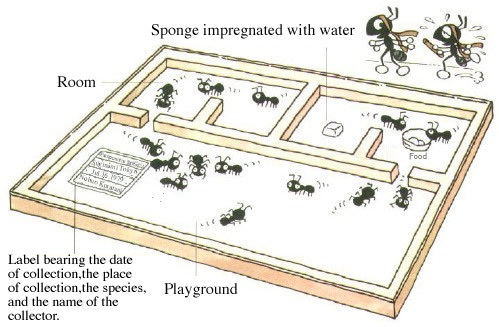 If you want to keep workers to observe them for a while, put a sponge impregnated with water and threefold diluted honey in the feeding case.